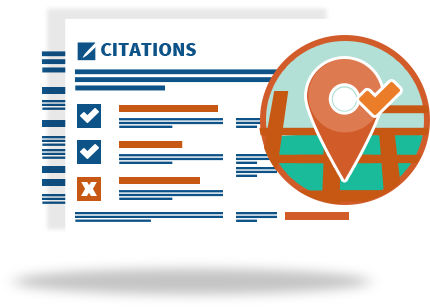 Clean and consistent citations are essential for local presence management. 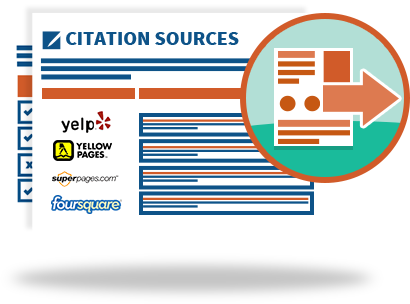 We'll keep your clients' citations squeaky clean at all times, so you don't have to! Everyone wants to sit at the cool kids’ table. 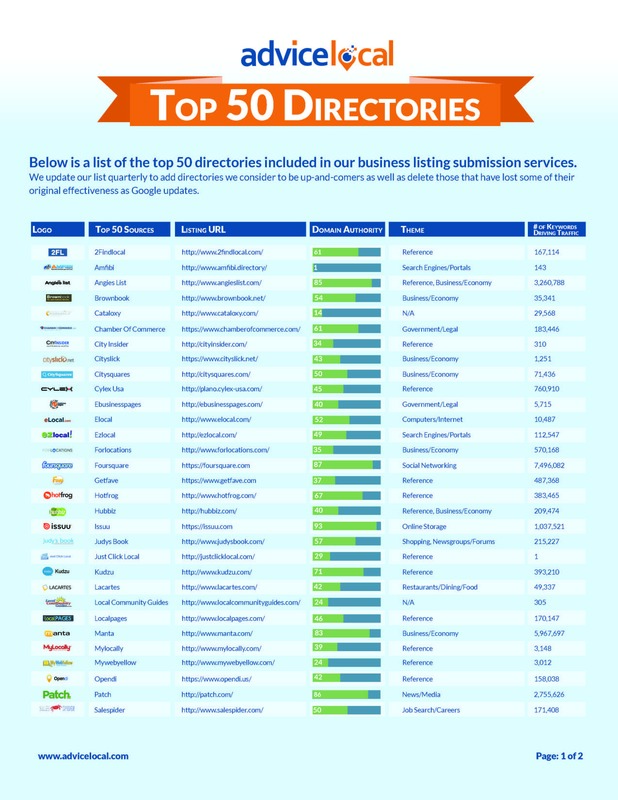 Yelp, Yellowpages, Superpages, Citysearch, and MerchantCircle are among the best citation sources on the Web, and we’re experts in getting businesses listed in all of them. 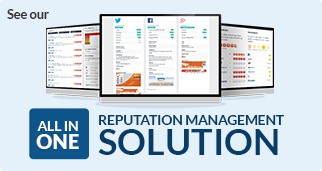 We'll create and optimize each profile to help your clients reach their fullest local visibility potential. Don't get blindsided by any client's rogue inaccurate business listings. We scan the depths of the Internet to clean up as many citations as we can find. Get a rundown of all that hustlin’ we’ve been doing. 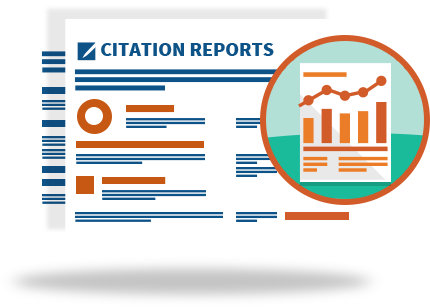 We provide comprehensive citation reports that include the Listings Present, Listings Checked, and NAP Consistency. Stay in the know about your clients' good, bad, and ugly. 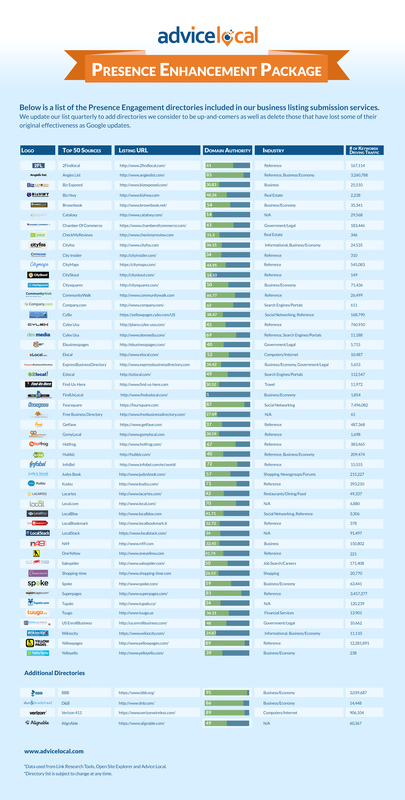 What's Included in the Top 50? Tired of chasing down incorrect listings? Stop sweating it; this is our expertise. Just click the button below and we’ll be in contact shortly.